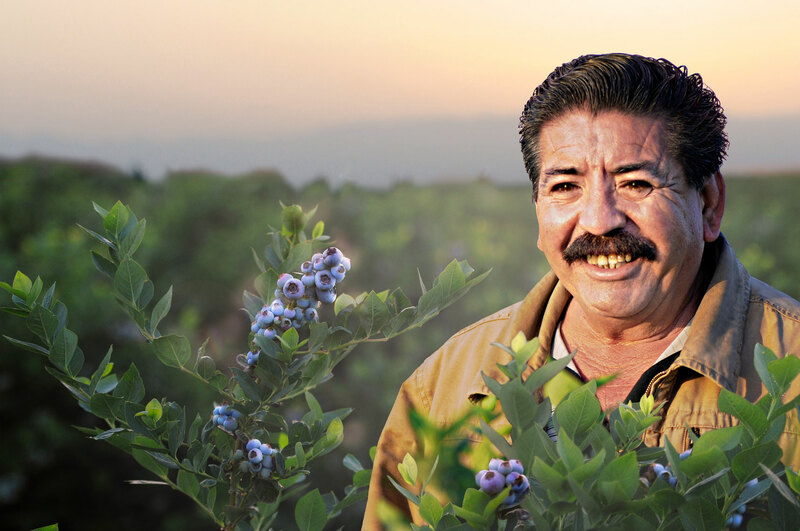 Portrait photography of blueberry field worker by corporate photographer Joe Atlas. Agriculture photography and farming photography of blueberry orchard farm in Delano, California for Gourmet Trading by Joe Atlas photography. The best farming photography, produce photography, farmland photography, and California landscape photography.